The devulcanization of ground tire rubber (GTR) was carried out with a self-designed pan-mill type mechanochemical reactor. Gel fraction and crosslink density measurements confirmed the occurrence of stress induced mechanochemical devulcanization of GTR. The partially devulcanized GTR (dGTR) was blended with virgin natural rubber (NR) at different ratios. The curing characteristics and mechanical properties of these composites were investigated and compared with those composites of raw ground tire rubber (rGTR) and NR. 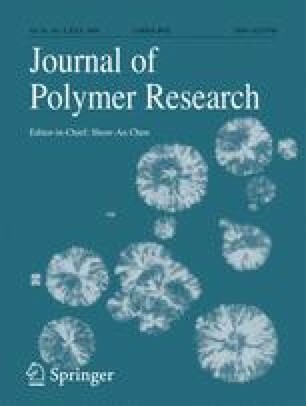 The results showed that the tensile properties of the dGTR/NR vulcanizates were much better than those of the rGTR/NR vulcanizates, which are comparable to or even better than the virgin vulcanizate, indicating the significant benefit of mechanochemical devulcanization. At the GTR content of 10%, the tensile strength of the dGTR/NR blends increased to 23.2 MPa from 13.7 MPa of the rGTR/NR blends, enhanced by 69% through partial devulcanization of GTR, and the elongation at break increased by 47%. The authors would like to thank National High Technology Research and Development Program (863 Program, 2008AA06Z343) for financial support, and thank Analytical and Testing Center of Sichuan University for providing SEM measurement facility.